We are flooded with a tidal wave of old, broken and out-dated electronic devices. It's been estimated that the amount of worldwide e-waste generation in 2018 was close to 49.8 million tons. This is roughly the equivalent of almost 140 Empire State buildings! But the good news is that almost 100 percent of this e-waste can be recycled or reused. The United States tends to lead the world in a number of things and e-waste generation and e-waste recycling. As a country, we are one of the world's leaders in producing electronic waste. Given that we only make up 4.27 percent of the world's population, it's an incredible thought that we produce more total e-waste than any other nation aside from China. China generated about 7.2 million metric tons in 2016 , while the U.S. came in 2nd place with almost 6.3 million metric tons. The next runner up was Japan with only 2.1 million tons. Interestingly, however, there are a number of smaller countries that generate far more e-waste per capita than the U.S. or China. The countries which lead in per capita generation of e-waste in 2014, for example, were Norway, Switzerland, Iceland, Denmark, UK, Netherlands, Sweden, France, and Austria. Like the United States, which ranked right after Austria, these are all relatively wealthy developed countries, with a consumerist culture. With ample disposable income, these citizens tend to upgrade technology frequently as it becomes available, and often own larger numbers of products. There are a number of actions all of us can take to boost the "eCycling" efforts of our country. At the end of the day, recycling comes down to individual choices. In California, many of those choices are strongly dictated by existing laws, of course, but the truth is that many smaller device and batteries can be easily thrown in the trash despite the laws. The good news is that alternatives are numerous and easy. Many local groups and organizations host events for collecting and recycling electronics. In addition, many municipal waste services provide certain days each year specifically for collecting electronic waste. 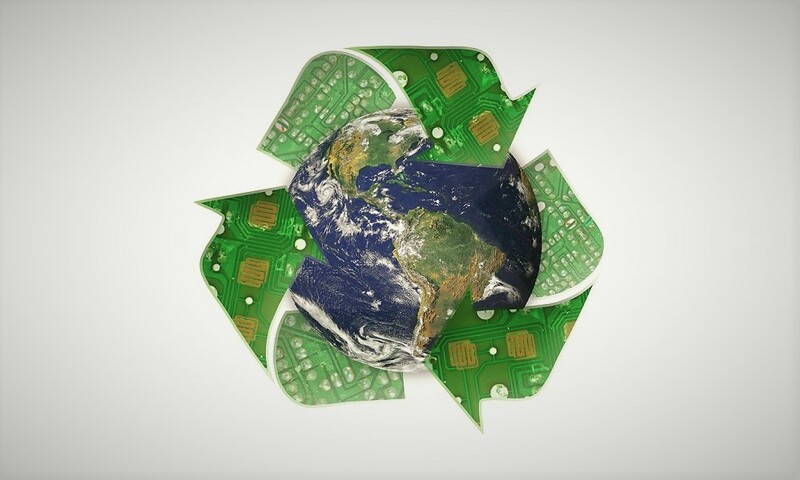 Remember, too, that 100 percent of electronics can be either completely recycled, or dismantled and some components recycled while other elements can be reclaimed and the remainder disposed of in an environmentally-friendly fashion. And for some items, especially old phones, you have other options. If you old phone is still usable, you can donate it to any number of good causes and worthy charities. In addition, donating helps reduce the amount of e-waste going into landfills. Besides, helping someone in need by donating phones can be far better than simply recycling them. According to the EPA, a vast majority of the electronics that are disposed of every year still have substantial use in them. So, unless it is irreparably broken, there's not reason for them to be simply thrown out. Phones4Charity helps groups like the American Red Cross, the National Wildlife Federation, Feed the Children and the AIDS Healthcare Foundation to raise funds through cell phone recycling. As a donor, you can choose from large organizations like these, or find a favorite local charity to support with your donations. There are several affiliated charities around the U.S., so check here to find a drop off spot near you. AmericaCellPhoneDrive.org will help you do your community and the environment a favor, and legally comply with EPA regulations on disposal of toxic items such as batteries, by joining tens of thousands of individuals and over 5,000 local and national charitable organizations in recycling old, unused cell phones. This is an organization devoted to the socially responsible reuse of retired cellular telephones and cell phone components by raising funds for charitable organizations. Cell Phones for Soldiers is an organization that uses the profits from recycling donated phones to provide free calling cards to deployed U.S. soldiers so that they can connect with family back home. It's one of the most popular cell phone donation programs and has prevented more than 12 million phones from going to landfills in the decade since it started. Our professional and insured e-waste removal team will show up at your home or office. 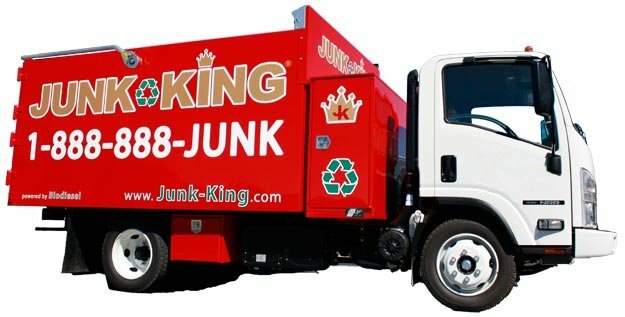 We call 15 minutes before we arrive on site and we’ll give you a free estimate based on how much room your junk takes up in our truck. You point and we haul those items into our junk removal trucks, with no hidden fees.